Champagne Aura Quartz activates and connects the Sacral Chakra through to the Crown Chakra. Champagne Aura helps to ground higher spiritual ideas into physical reality. Meditating with Champagne Aura Quartz can help when working on an issues that rival between the spirit, mind, heart, and instincts, by resolving the conflict that often occurs. Using Champagne Aura Quartz can reconcile all these different perspectives so that the whole solution is achieved. 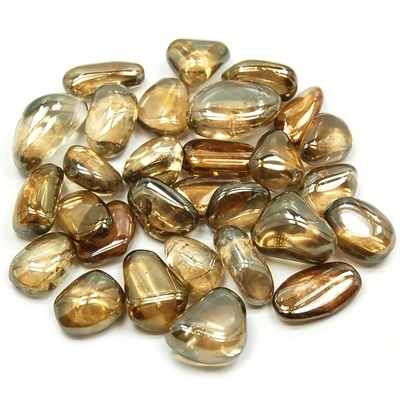 Carry Champagne Aura Quartz when called to fulfill altruistic purposes. See Champagne Aura Quartz in our online catalog.